Jody Wilson-Raybould has resigned as the country’s Veterans Affairs Minister. Wilson-Raybould posted a copy of the resignation letter she sent to the Prime Minister’s Office on her website Tuesday morning. “With a heavy heart, I am writing to tender my resignation as the Minister of Veterans Affairs and Associate Minister of National Defence,” the letter begins. She goes on to thank Canadians who have supported her during her time in the federal cabinet and states she will remain as MP for Vancouver-Granville. 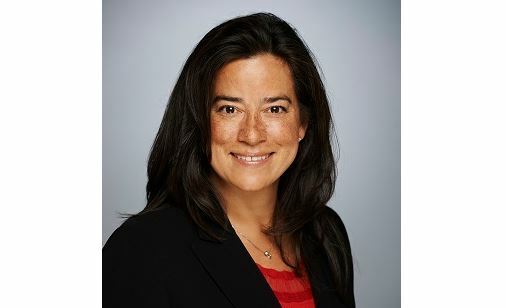 Wilson-Raybould’s resignation comes amid allegations Prime Minister Justin Trudeau or one of his aides pressured her to arrange a deal to help Quebec corporate giant SNC-Lavalin avoid criminal prosecution for alleged bribery pertaining to government contracts in Libya. Trudeau has denied the allegations which first came to light in a Globe and Mail newspaper article last week. “I am aware that many Canadians wish for me to speak on matters that have been in the media over the last week. I am in the process of obtaining advice on the topics that I am legally permitted to discuss in this matter, and as such have retained Honourable Thomas Albert Cromwell, CC as counsel,” Wilson-Raybould wrote in the letter.